Writing a book really helps you understand what is technically important long term. You also have to understand who is the reader you are writing to, what can be useful to explain, what not, what are advantages he’ll find in reading the book. 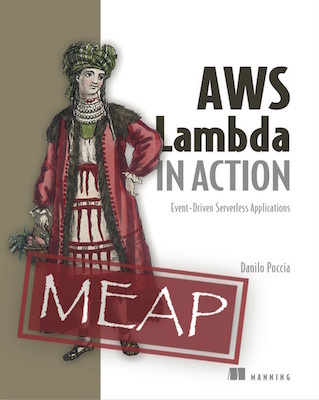 The title is AWS Lambda in Action - Event-Driven Serverless Applications and the idea of the book, published by Manning, is to help developers build applications that are event-driven and serverless using AWS Lambda, without any prior knowledge of the AWS platform. 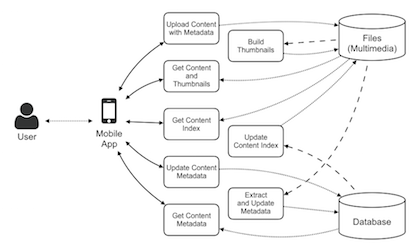 By “event-driven” I mean that the overall flow of the application is driven by events. The events may come from a user interface, such as a web page or a mobile app, or from data repositories used by the application, such as Amazon S3, for files, or Amazon DynamoDB, for structured data. In this way you can avoid designing and maintaining a centralized workflow logic, and let the event trigger actions that are required to manage them. You can for example upload a picture with some metadata (author, location) on S3 bucket. This will trigger a Lambda function to extract the metadata and insert the required info in a DynamoDB table. This new data in the database can trigger more functions, for example to update another table with some statistics by author (how many pictures did you upload?) or a mapping table for geolocalization (for example, using geohashes). All the architecture is “serverless” because you don’t have to manage the infrastructure used by AWS Lambda to execute your code: scaling, availability, patching and so on are taken care by the service itself. In this way uou can focus your time and your resources on the unique features of your application.